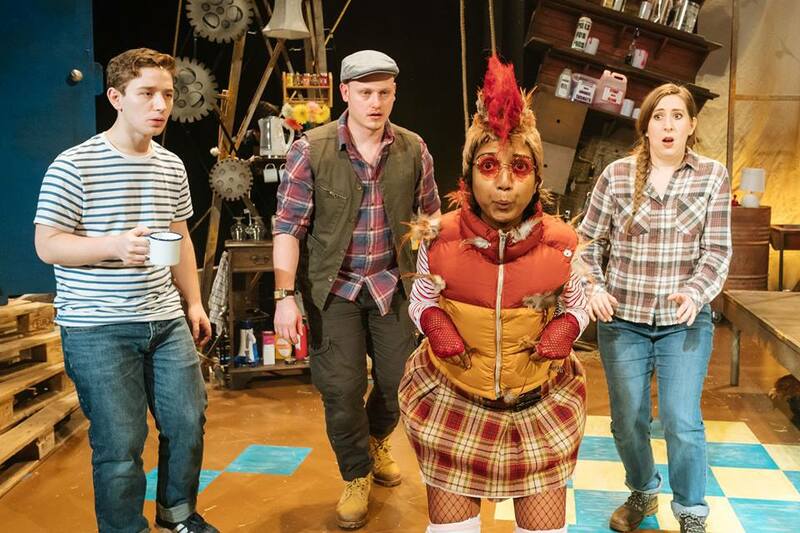 Review: George’s Marvellous Medicine. Curve Theatre. – East Midlands Theatre. 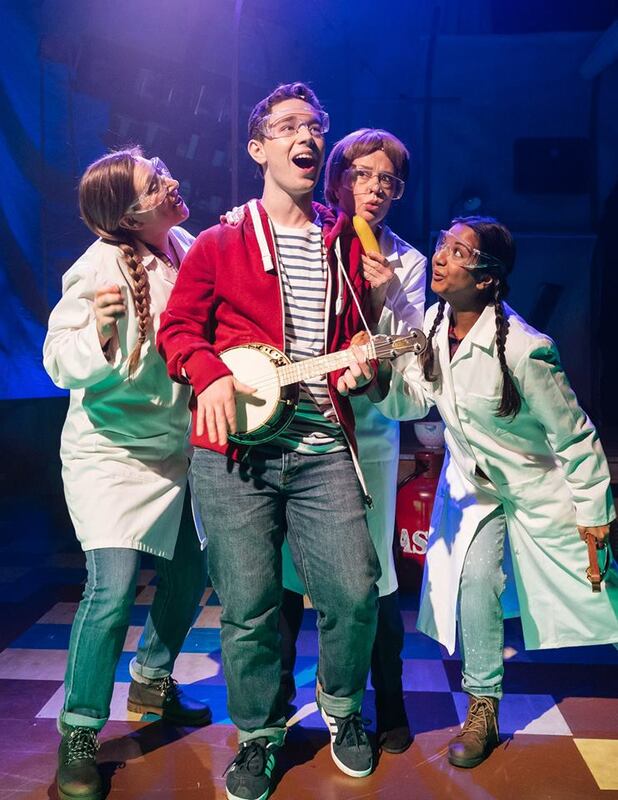 Curve’s 2017 studio production of Roald Dahl’s George’s Marvellous Medicine, adapted for the stage by David Wood, is one hilarious, simply marvellous theatrical tonic and an utter Dahling of a family show. This show will have you shooting through the roof with laughter and eagerly joining in throughout. Directed with gusto by Julia Thomas the audience are whisked away to a bonkers and very inventive farm yard and, as Roald Dahl might have said, ‘For a few brief moments we touched, with the very tips of our fingers the edge of a magic world.’ Slightly different in format from the book, adaptor David Wood has constructed a back story about the potential visit of the unpopular Granny and the show bursts with inventive songs and music by Tasha Taylor-Johnson. In this back story we hear that grumpy and selfish Granny has been unwell and is coming to stay with George’s family in order to get better. This sends the family into turmoil because everybody knows that Granny is very very difficult, has no manners at all and… worse of all, she is going to be staying in George’s bedroom, causing immediate resentment about her visit. Poor George has to sleep in the tiny box room. So inventive George tries to make his mean and bossy Grandma better by creating some marvellous medicine which he hopes to not only make her better but also into a much much nicer person – a lovable Granny that everyone would love to have around. But will he achieve his aims? 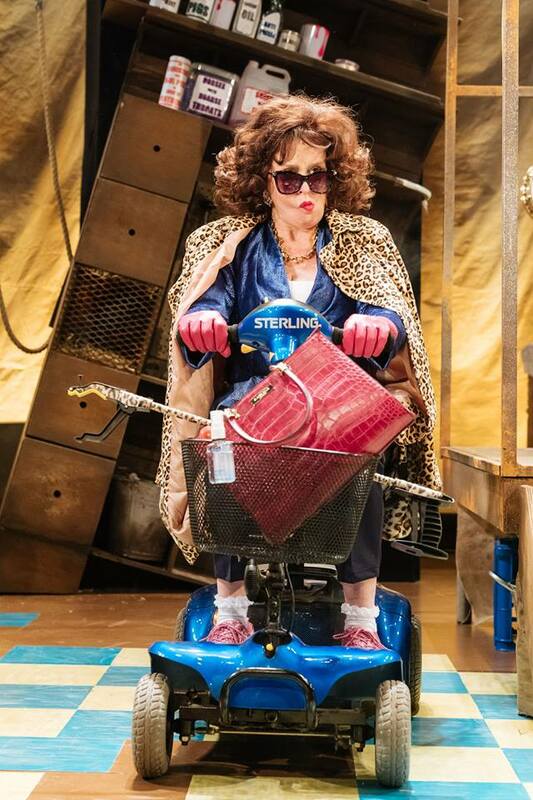 Catherine Morris and Justin Wilman are sublimely daft as George’s Mum and Dad. Lisa Howard hams it up superbly as the evil Grandma and Chandni Mistry makes a delightfully crackers Chicken. The entire cast work constantly to entertain and play out the story in the most inventive of styles with live music and special effects throughout. 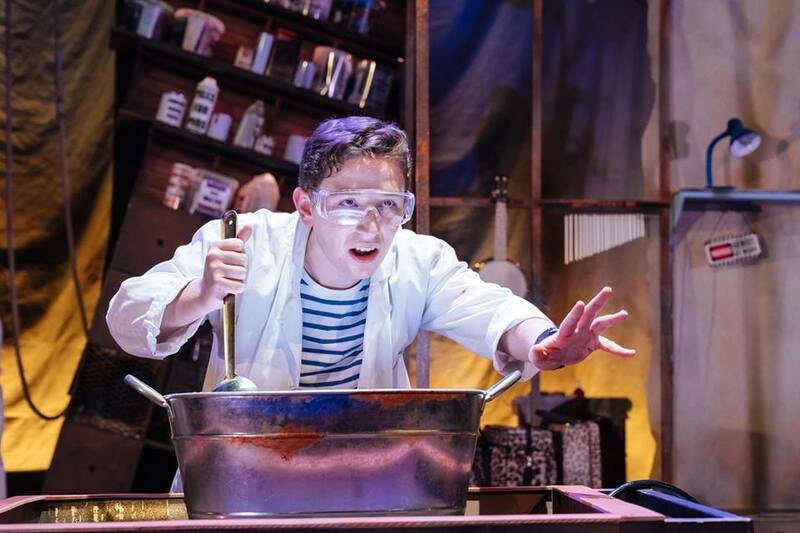 George’s Marvellous Medicine is a frothbuggling phizz-whizzing co-production with Rose Theatre Kingston featuring an inventive farmyard set courtesy of Morgan Large. The stage is cleverly lit by lighting designer Jack Weir and the production incorporates a great sound design by David Gregory. The musical composer for the show is the talented Tasha Taylor – Johnson. We also love the remote control chickens and the rampaging bull. 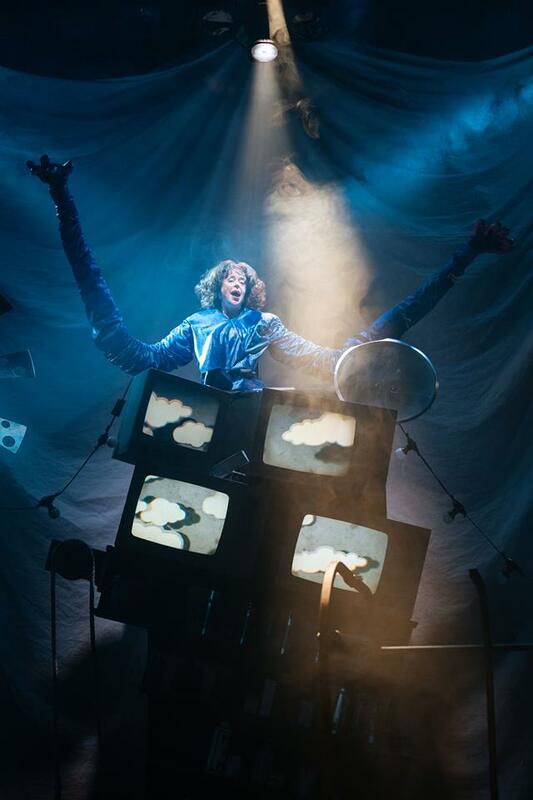 George’s Marvellous Medicine runs at Curve Theatre Studio Sat 9 Dec – Sat 20 Jan 2018.